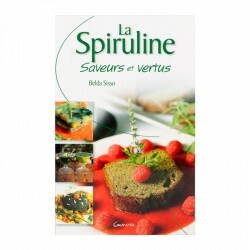 " The spiruline flavors and virtues "
complete feed Inescapable, of the XXth century, the spiruline is a real treasure of health, both detoxifying, regenerating and nourishing. living organism, this algae, already used by the Aztecs is an incredible source of amino acids, vitamins, minerals and trace elements. 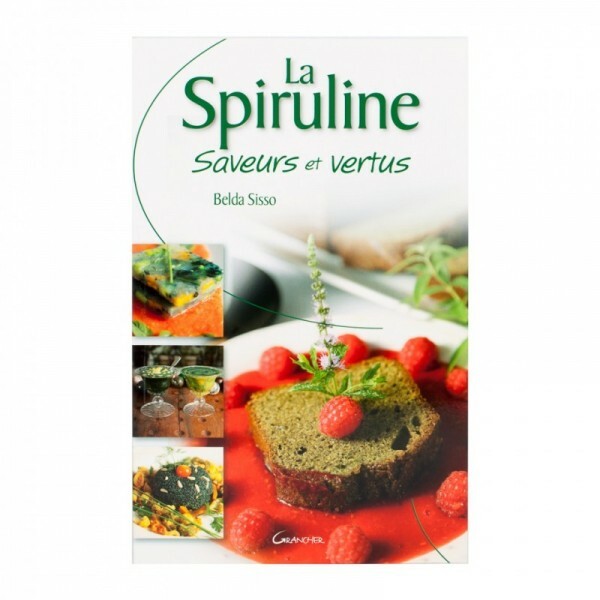 Be aware that a hectare of spirulina produced 50 times more protein than in a hectare of soybeans and 500 times more than the meat of an ox ! 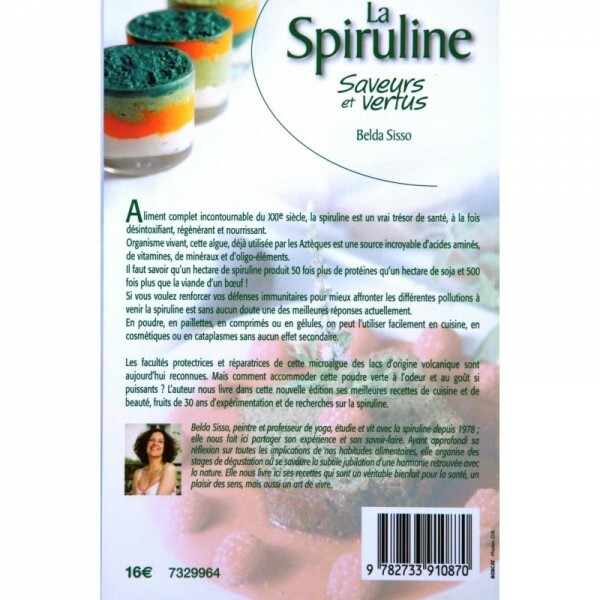 If you want to strengthen your immune systems to face better the various pollutions to come the spiruline is undoubtedly one of better answers at present. In powder, in glitter, in tablets, in capsules, we can use him easily in cooking, in cosmetic, in mask or in cataplasm without any side effect. The protective and repair faculties of this microalgae of the lakes of volcanic origin are recognized today. But this green powder at the smell and the taste so powerful ? The author delivers us in this new edition his best recipes of cooking and beauty, fruits of 30 years of experiment and search on the spiruline. Belda Sisso, painter and yoga teacher, studied and lives with spirulina since 1978; she makes us here share his experience and expertise. Having further thought to the implications of our eating habits, she organizes tasting courses where savor the subtle jubilation of a rediscovered harmony with nature. she brings us these recipes are a real health benefit, a sensual pleasure, but also a lifestyle.